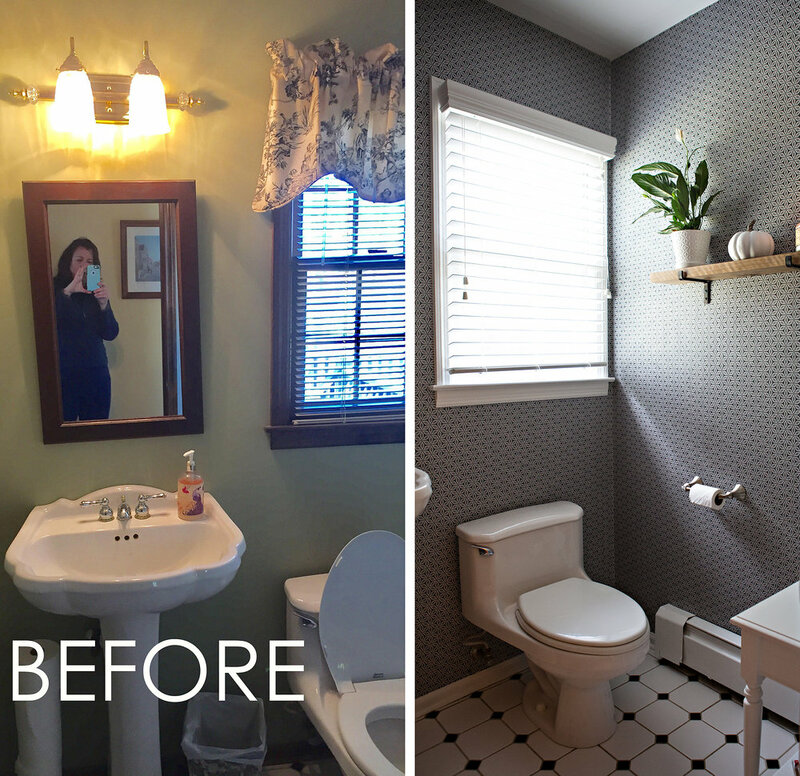 I have been working with a great client in Wyckoff NJ on her powder room refresh! I loved the black and white tile floors she had and selected a wallpaper that I think is a great compliment to the flooring. We also had the trim painted white and updated the mirror and light fitxure. Finally I selected a wooden shelf with black hardware to bring in some natural wood. I stopped by her house today to take a couple of photos and love seeing the side by side comparison! 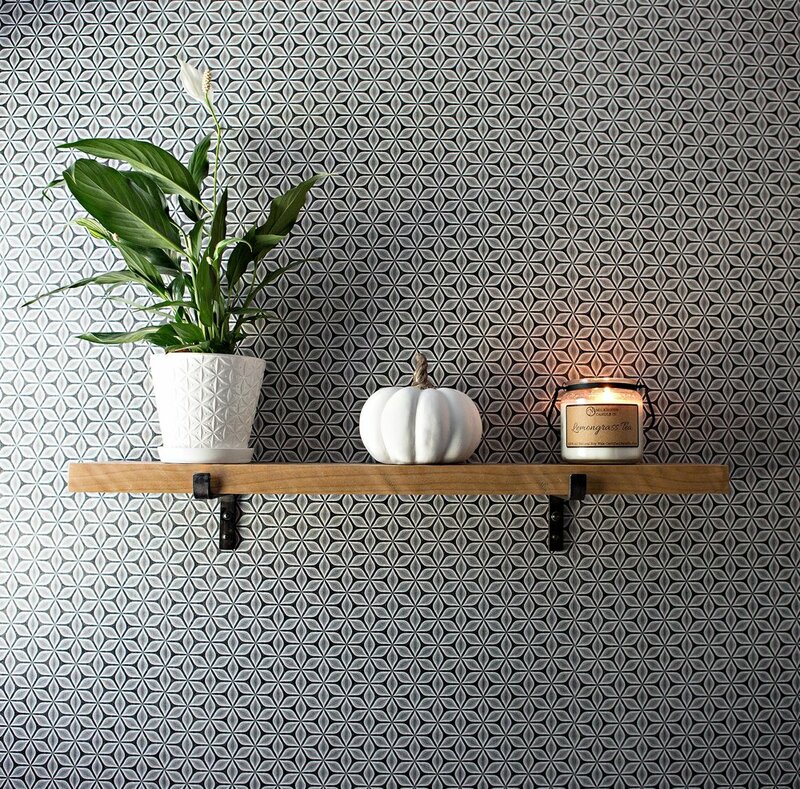 The wooden shelf looks so good with the wallpaper! Christie Adams Design is an interior designer and decorator based in Wyckoff New Jersey (Bergen County). Whether you are embarking on a renovation or just looking to refresh a room in your home, I would be happy to chat about your project! I love when clients already have an idea of what they are looking for when it comes to their kitchen so that I can help them tie it all together. This particular client knows that she wants tile flooring instead of hardwood and wants Quartz countertops rather than marble. She also loves the idea of a navy island with white perimeter cabinets. 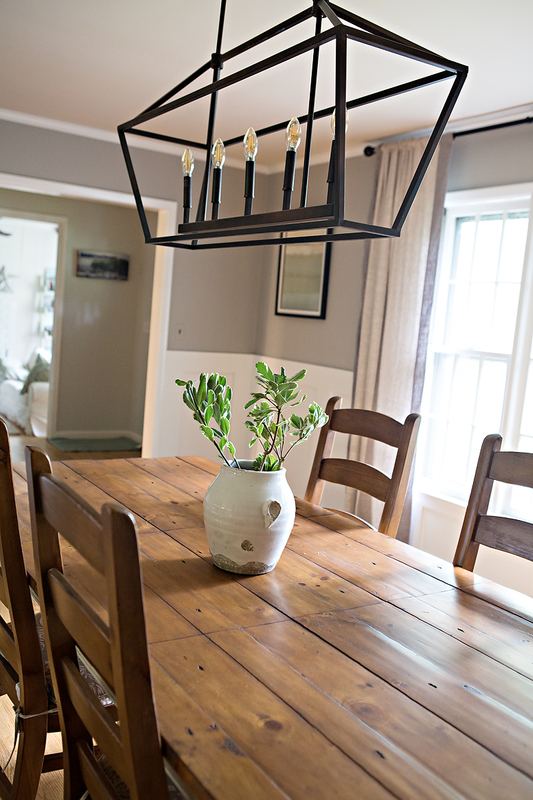 Christie Adams Design is a northern NJ interior decorator and designer based in Wyckoff New Jersey. Whether you are looking for just a consultation or a full service project I would be happy to chat about creating your dream home.